Jio Ki Dhan Dhan Dhan offers If the company's plan was the most discussed in 2017, then it was Reliance Jio's plan. 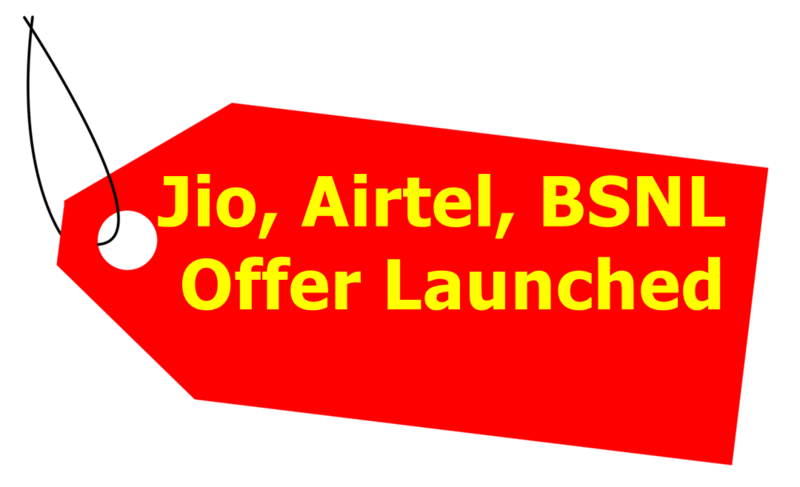 Reliance Jio launched its free offer in March this year with the launch of Jio Ki Dhan Dhan Dhan for customers. Reliance Jio launched two plans under it. The first Rs 509 of the first 309 rupees. In the 309 rupees, live customers were offering 1 GB data daily for 28 days, whereas in 509 rupees users were getting 1 GB data per day for 84 days. Apart from this, all types of calls, roaming, and SMS unlimited free were available in this plan. This was the first such plan in the telecom sector in which the users were offered so much in such a low amount. This plan of Geo was covered in the market. The company that was getting the most difficult offer from Geo's cheap offers was Airtel. Before the arrival of Geo, Airtel was the biggest telecom company. In such a way, the company launched a Rs 345 plan to stop its users from going to Geo. In this plan, Airtel was giving its users 1 GB of data for 28 days. Also, local and STD calling was also unlimited free in this plan. Vodafone and Idea merged together to meet the challenges of Reliance Jio. After the merger, Vodafone launched a plan of Rs. 342 to compete with Geo. In this plan, Vodafone provided users with 1 GB of data and unlimited calling for 28 days daily. Vodafone then launched a great plan of Rs 346 for its customers in July. Under this plan, users will get up to 56 GB of unlimited voice calls as well as 1 GB internet data per day. However, the daily voice call limit was 300 minutes and the weekly limit was 1200 minutes. This plan of Vodafone was also well-pleasing. BSNL is not lagging behind in the competition to present Sesa tariff among telecom companies. BSNL pulled out a tariff of more than one during the whole year. Speaking of BSNL's best mobile plan this year, it was a mobile plan of Rs 298. In this plan launched in August BSNL was giving 56 GB of data for 56 days with a daily limit of 1 GB. Although this plan of BSNL was only for 180 days but in the last year, it was the most popular plan of BSNL.